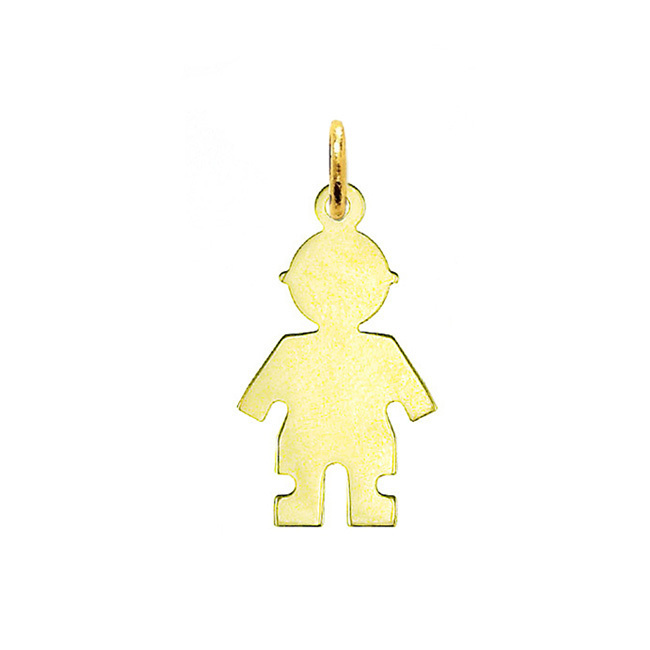 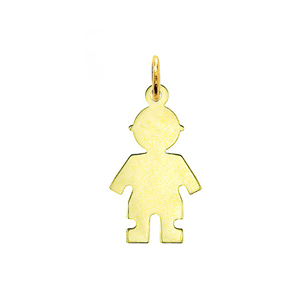 Keep the special toddler in your life close at heart with a sensational 14K Gold Engraveable Boy Charm. 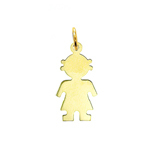 Toddler jewelry is an exceptional way to keep your little ones near. 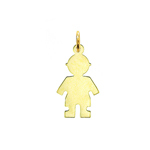 A handsome little boy is chiseled out of striking 14kt gold and finished with a smooth, polished surface. 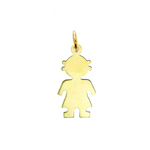 For a personalized touch have your 14K Gold Engraveable Boy Charm precision engraved. 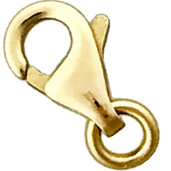 Charm is crafted in 14k yellow gold featuring a polished finish with flat back, it measures approximately (14mm - 1/2") in width by (20mm - 3/4") in height and weighs 1.6 grams, it is a good size for charm bracelet or on a necklace.